The Truth and Reconciliation Commission-CVR, this March 20, dug up the remains of a man reportedly killed in 1993 in Mahonda area in Ndava commune of Mwaro province. 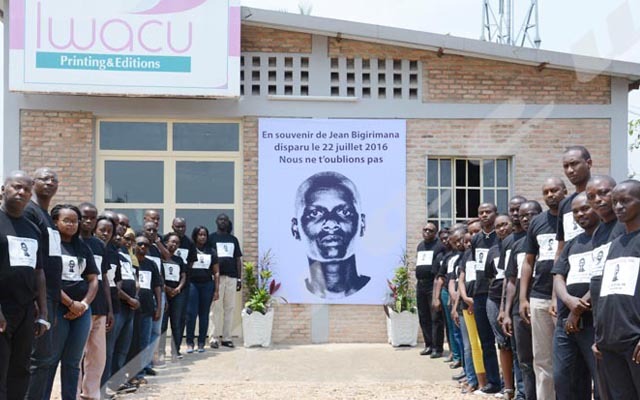 Damas Gahungu says the man was killed in 1993 civil war while trying to escape. Aloys Batungwanayo, CVR commissioner, says the remains of a man identified as Déo Nizigama was discovered during farming activities two months ago. “Local administration alerted CVR that human remains had been unearthed,” he says, adding that the dead body of the person was recognized by his relatives who say he was a resident of Kinyovu area. Mr. Batungwanayo says it is a very delicate case because when the killed person is recognized, their relatives may be tempted to revenge themselves. “In this case, the relatives of the victim know or suspect people who have killed theirs and they are often their neighbors. That’s why we have come with religious leaders to preach about tolerance”. He says CVR and those religious leaders also preach about individualizing a crime. “Many people take a crime as a collective act. For them, it is the whole family or ethnic group that has committed the crime,” he says. Damas Gahungu, a 65-year-old man and brother to the deceased man, says his brother was killed in 1993 war while trying to flee. He asks the Truth and Reconciliation Commission to shed light on the killing of his brother. “He was not affiliated to any political party and was not in conflict with anybody. We need to know why he was killed,” he says. He however says his family already knows those who killed his brother. “But we have forgiven them. We sometimes converse and share drinks”. The Truth and Reconciliation Commission has already identified around 4175 mass graves all over the country. After the identification, the commission will talk with partners to collect financial means so as to dig up all the human remains and proceed with their decent burial.